My Dear Trash: Wait, What? It's A Girl! Last Friday will definitely go down in our family’s history as one of the most amazing and exciting days of our lives. I woke up last Friday and felt I needed to write a bit about this pregnancy and what I was going through. I always feel so much support from those of you out there who read my blog and I needed some loving arms around me. I spent the morning writing and it felt validating. Writing helped me clarify my thoughts even more and I felt capable in this pregnancy journey. I was having a boy, I was half way through and I was overcoming some difficult emotional, physical and spiritual tests. Life was good. I published my blog post (you can read that post here) and later that afternoon, headed down to Phoenix for my first ultrasound. At 20 weeks, I knew they could and would determine the gender, but through a blood test at 12 weeks, I already knew it was a boy. My friend Chandra was in town, so along with Eden and Canyon there with me, the ultrasound tech lead us to the room and we got started. She checked measurements, we listened to the heartbeat and then she started checking to confirm gender. Now, when I took the blood test from a company called Sneak Peak, there was a stipulation in the set of instructions. It said the test, which I could conduct from the comfort of my own home, would be 99% accurate. The instructions also said to not have the packaging handled by a male, not to conduct the blood test in a bathroom that a male had recently used and to scrub your hands, including underneath your fingernails to prevent any contamination. Wanting an accurate read, I left my house, my five boys, my boy-dominated bathrooms and went down to my parents with the test. My sister Anna was in town for Easter and she helped me follow the instructions perfectly and conduct the test. After washing my hands with hot water and soup, scrubbing my fingernails and drying my hands on paper towels just out the package, I went into the bedroom where Anna was staying, pricked my finger with a little contraption in the Sneak Peak box, and slowly watched as little drops of my blood filled a small vile. When finished, we snapped the lid on the container, placed the blood sample in a box, sealed it and off it went to the post office. 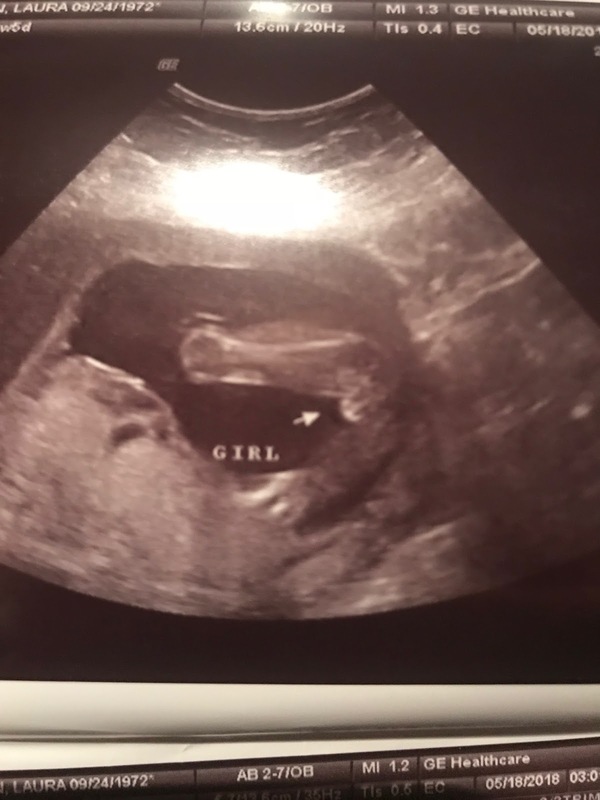 I couldn’t wait for the results confirming I was having a girl. As you all know, that wasn’t the case. Just a few days later, it was confirmed in an email that my blood work, as the email stated showed with “100% accuracy” I was having a boy. Signed, sealed, delivered – a little boy was on his way. I know very few people put so much emphasis on the gender of their baby, but I have a story about this baby and it just wasn’t fitting the narrative I had been feeling and quite frankly, witnessing. After I had Canyon, I was done having babies. 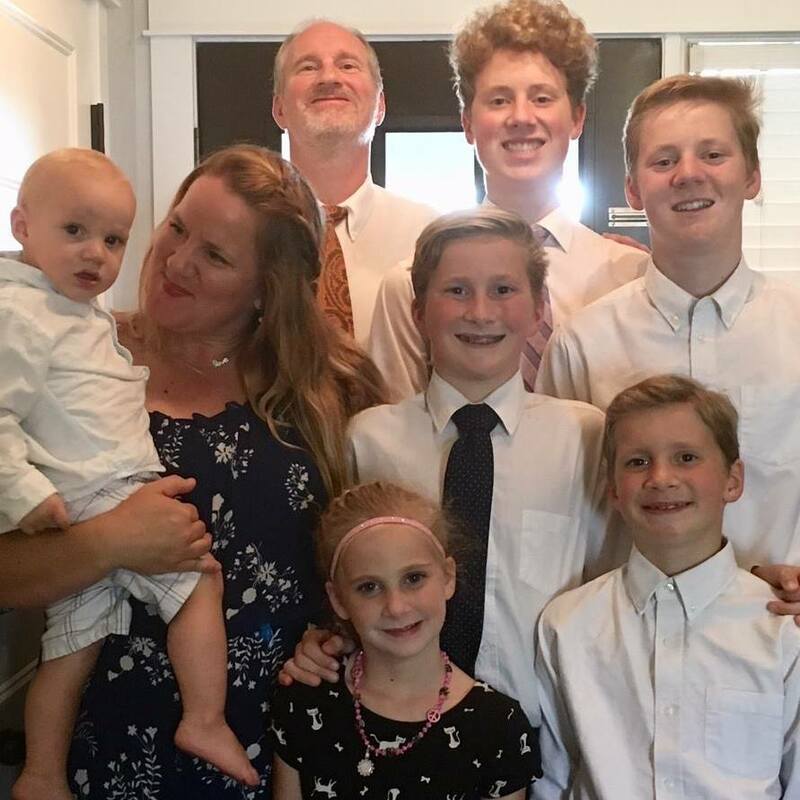 Six children, five boys and one girl was great and Canyon was healthy and strong. Eden was a trooper and loved having a baby brother. 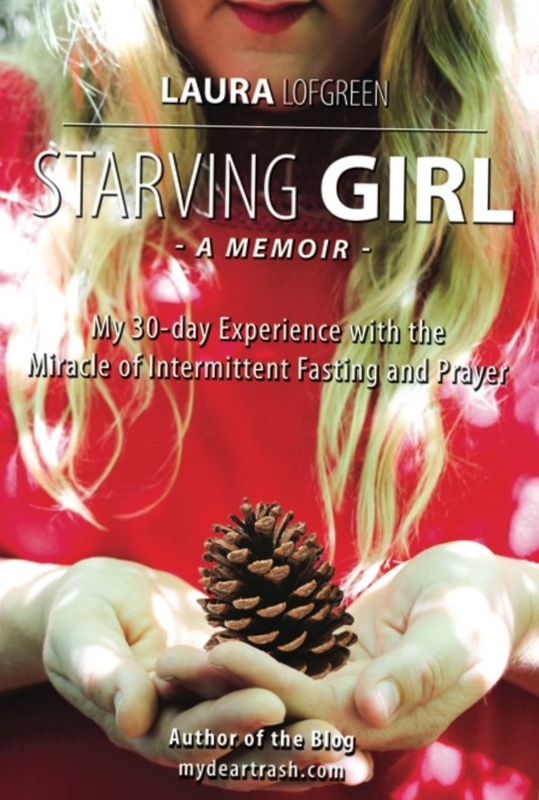 Through intermittent fasting (you can read about that here), I got my health back, I was moving along in my writing goals, I’d published 3 very personal books and a coloring book in 2 years, I opened a publishing house, was traveling, speaking, working with Rising Star India and I passionately wanted to travel there to meet the girls I cared so deeply about. Canyon turned two and potty-trained himself, he was more and more independent each day and life had returned to a lovely routine. I’d made it out alive, so to speak when on Thanksgiving day, I found out a dear friend of mine had suffered a heart attack, fallen and had a brain bleed. His chances of survival were practically zero. 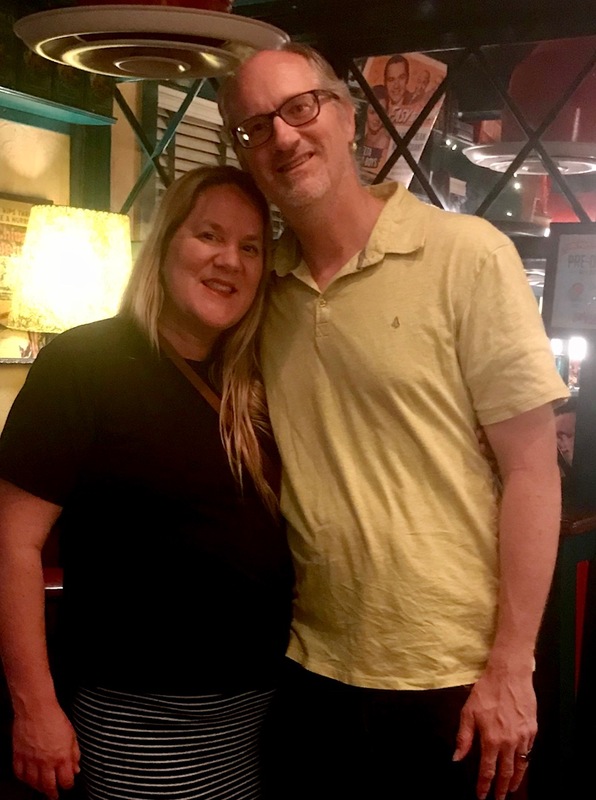 Derek and I committed to fasting the next day for him and so powerful was that fasting experience I decided to do another 30-day fast in which I would fast 16-18 hours a day. This meant I would fast every day until Christmas. The experience immediately took on a very spiritual purpose. I couldn’t wait to feel closer to my Savior and Heavenly Father, especially over the holidays. On the third day of my fast, I prayed for my friend in the hospital when a feeling overcame me. “Pray for a baby,” the prompting said. What? I wasn’t even thinking about having another baby. Was this about adopting a little girl? “Pray to have a baby,” I felt again. Wow, I knew enough about how God speaks to me to understand I needed to obey this prompting, so I did. In that quiet moment, I opened my mouth and prayed for a baby. What happened left me speechless. A love came over me so strong, so powerful that not only did I pray for a baby, I plead for her. And I knew it was her. I could feel this wonderful opportunity that this was a gift I was asking for, even pleading for. Derek and I had tried adopting a girl from India a year earlier, but because of our age (we were too old), we didn’t quality. Did God have something else in mind? My prayer became fervent and when I was finished, I wondered what had just happened. I carried on with my day, checked in with my friend’s husband and he was slowly making progress. He wasn’t out of the woods yet, but he was stable. The next day, as I neared the end of my fast, I went into pray. Again, the feeling came strongly over me, “Pray you will have a baby.” Again, I opened my mouth and spoke to Heavenly Father, “Please grant me this baby,” I plead. The love that poured over me left me in tears, like sobbing. I knew who she was. I wanted her so bad. I'd seen her in a dream and so had Eden. Would God really grant her to me, to our family? This experience happened one more time, the next day and I finally told Derek. This wonderful husband of mine, who has loved and nurtured me since the day we meet, completely was on board, but was I? Logic set in. This was crazy. I was 45 years old. Could I even get pregnant? And would I have a girl? After having five boys, it certainly didn’t seem possible. I did some research and found at my age, there’s about a 4% chance of becoming pregnant without some sort of fertility help. There were ways to "try to have a girl", timing ovulation, changing the bodies alkalinity, etc., but I was skeptical. And yes, I was doing well, but things were still challenging in my home. I had two particular boys who seemed to be “testing” most of the time, a son graduating and preparing to leave on a mission, a cherished daughter who I was eager to spend as much time with as possible and a two year old who still wanted to be carried, cuddled and well, be the baby. Before all this happened, I was thinking of going back to school for a master’s degree and really pushing through on some of my career goals. Publishing books, working, traveling, volunteering, and so on. Did a baby really fit into the equation? No, but deep down I knew she was there and I wanted her more then anything else. God had told me if I asked, she could be mine. This is why the results I was having a boy completely through me off kilter. Not only had I prayed for a girl, not only did I get pregnant right away, but I had been told a girl was coming to me. It’s one thing to ask God for a particular blessing, it’s another to be told by the spirit to prayer for a special blessing God has in store for you. I was instructed to pray for a baby, for her. I can’t think when I’ve ever been told by the spirit to pray for a specific purpose. Usually, when I pray for something, those desires come from my own heart. So, there I lay at this ultrasound last Friday knowing the test originally said 99% accuracy, but my email confirming the blood work said male DNA was 100% detected in my blood stream. In my mind, I didn’t even have the 1% chance the test was inaccurate and I’d let that ship sail months ago any way. There was no way I was having this girl, EVER and I'd accepted that, but the technician was having a difficult time finding the gender, “I think the baby’s legs are crossed,” she said. She had me get up, drink some more water, wait about 10 minutes and this time, she had me lay on my side. I wasn’t sure if all this was to determine the gender, or for more measurements and I’d learned since having six babies, just let the ultrasound tech do her job. Don’t ask a ton of questions, she can’t say anything until a doctor looks at the results anyway. “Tell me about this blood test you took? How accurate are the results?” she asked. My heart skipped a bit. What was she asking? Why? Don’t even go there, Laura, I said to myself, but my heart was practically beating out of my chest. Wait, what????? No way!!! But, no, I’m sure with a little more effort, they’ll find something sticking out there, confirming it’s a boy. The supervisor came in and started searching. My eyes were glued to the screen. There was a little bum, two legs, but where was the boy part? I’d seen enough ultrasounds confirming it’s a boy to know what to look for, but nothing. “This is a little girl,” she said and showed me the proof. I gasped. I practically choked. Chandra just stared. I don’t think Eden had a clue what was going on. 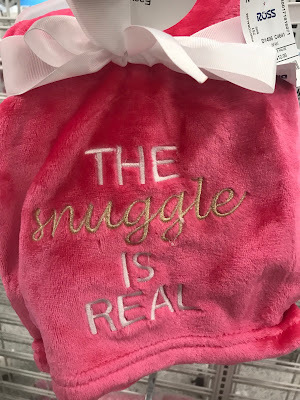 “You’re having a girl,” the supervisor said enthusiastically and at this point, there were about five other employees in the room. By now, everyone in the clinic knew what was going on. I was speechless. And physically, I’d felt so different with this pregnancy. I wasn’t gaining crazy weight, like I had with my boys. My nose wasn’t fat, my face wasn’t puffy. I wasn’t getting wide, but instead my belly was sticking straight out. 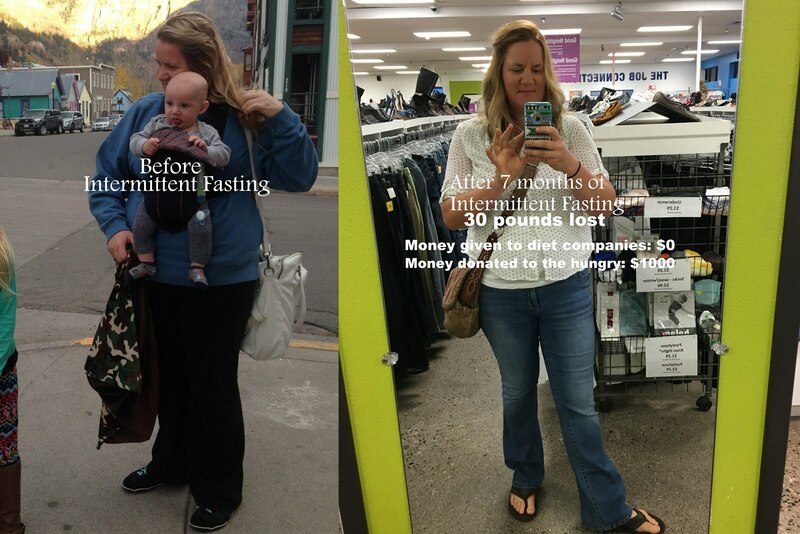 My hair was crazy thick and growing so fast, my skin was nourished, my cravings were healthy and sugar made me sick. This was way different then when I carried my boys. But, I just quietly took it all in – her warmth, her presence, her gift, her female spirit. She was real and she was really coming. She was mine forever. I feel like a princess. I wake up and say out loud, “It’s a girl.” I say her name. I’m starting to open up to my impressions again, to have faith in how God speaks to me, to be vulnerable to whatever the spirit wants to tell me, to trust myself again. 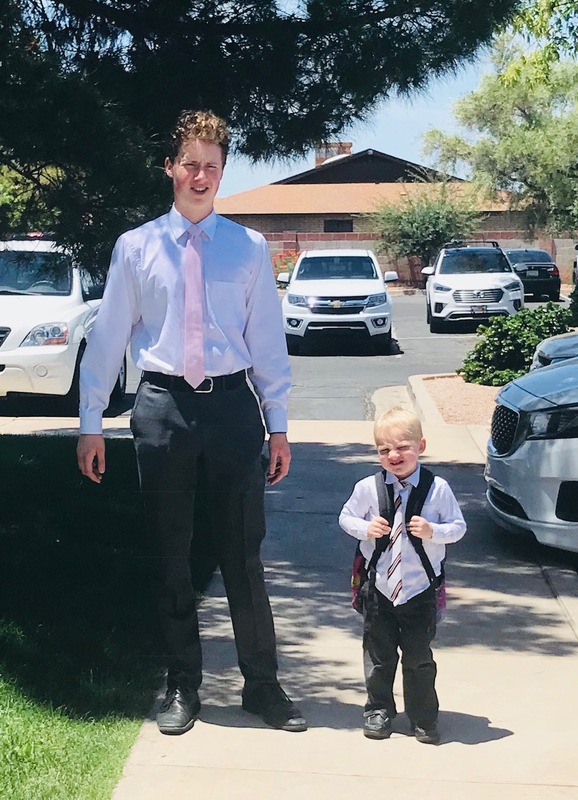 I’m not ready to look backwards, to consider how much this trial hurt my ability to understand my impressions, to hope I handled it the best way possible, to know I would have loved another boy with all my heart. This was a tough one and my sister-in-law Sasha, who gifted me the gender reveal test feels awful. “Will you ever forgive me,” she pleads and we just hugged and laughed. She’d used Sneak Peak for her recent pregnancy and it had been accurate. She has a precious 8-week old baby boy to prove it. Now that I've done a bit more research into this type of blood test, I must have had some "boy" DNA on my hair, or perhaps my shirt that contaminated the blood work. I guess even leaving my home didn't clean out all the boys I have around me. “We’ll always have Sneak Peak,” I said to Sasha. She's already been to Target and cleaned out the girl section for this baby. When I called my sister Becky, she cheered on in her usual fashion, always supporting me, always cheering me on. "I knew it," she said! On our date night, Derek and I stopped to pick up some of her first outfits too. It’s so surreal. Just last week at Goodwill, I found some darling little boy clothes and there they are, sitting in a box in my closet. I’ve already told Sasha I have a box of clothes and shoes for her little baby boy. I’m so thankful I followed through on what God told me to do. I am 45, pregnant, sick as a dog, some days barely getting by, loving on my kids, preparing wholesome food when I can, thankful beyond words, closer to my husband then I’ve ever been, living in a state of gratitude and grace, and leaning on friends and family. I just marvel at this life. People keep reminding me I’ll be pregnant through an Arizona summer, but I’m all in, praying for this little girl to be healthy and to know she’s loved from here to heaven and back. I am so happy for you and your family. What a magnificent experience. The Spirit told me about our last baby - that I carried a male child and what his name needed to be. During my 20 week sonogram the doctor told me I was carrying a girl. I was shocked. The doctor asked me if I was okay with that because I seemed upset. I said, "Yes, I'm fine. I was just sure it was a boy." For weeks after that I struggled with my ability to receive personal revelation and questioned everything. Fast forward to 32 weeks. My water broke at church. I rushed to the hospital. My husband was out of town and couldn't be reached. My mom and I discussed girl names (because my husband and I could never decide on one) while the sonographer checked on my baby. She asked me if someone told me I was having a girl. I said, "yes, my ob told me from the 20 week ultrasound that I'm having a girl. Why do you ask?" She said, "Because I see boy parts." Why did I ever doubt? I knew what I had been told. Our son arrived 8 weeks early - although completely healthy - and has kept us on our toes for 20 years now. I'm so excited for Eden, and for you! What a blessing this girl will be, just like all your other children. Laura I haven’t checked your blog forever and just randomly decided to take a peak tonight! What a wonderful gift, I am so happy for you!